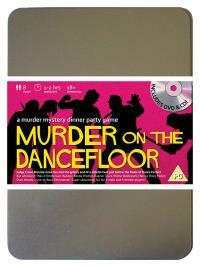 You've been invited to play the role of WILMA WALTZWURK in Murder on the Dancefloor. It’s the eve of the final of Dance Factor and the competition is tighter than the male dancers’ leotards. Crane Breville Cowl decides to host a pre-final bash to relieve everyone’s tension and invites the finalists and his colleagues to come along, but all he gets for his troubles is a stiletto heel in the head. Join with us to find out who stepped on Crane’s parade! Professional Dancer (she’s nervy but curvy!) Costume Suggestion : Being voluptuous makes it easy to look good in your flowing white ball gown. Being Hungarian means you try to work all the national flag colours into your costume – stunning red lipstick, white gown, and green…lingerie (well, it couldn’t be shoes could it)! You were crowned World Ballroom Champion three years in a row, although you’ve recently had a break from dancing to work through some personal issues. Dazzler is an amazing partner and extremely good with his hands, despite what the judges say.